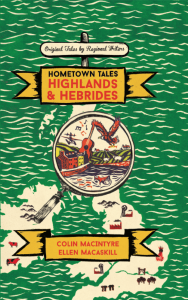 Hometown Tales: The Boy in the Bubble, available now at W&N Books, is a bright, intensely funny and deeply felt memoir about growing up on the Isle of Mull from multiple award-winning musician (Mull Historical Society) and author of The Letters of Ivor Punch, Colin MacIntyre. It is a moving and fascinating exploration of what ‘home’ really means, charting his journey from island boy to internationally acclaimed musician. It will be in available in book shops and online from 28th June 2018. Pre-order now. In these pages on the Highlands and Hebrides, you’ll also find ‘A9’ – a captivating piece of short fiction about a girl torn between her love in Inverness and the chance to spread her wings, by new voice Ellen MacAskill.